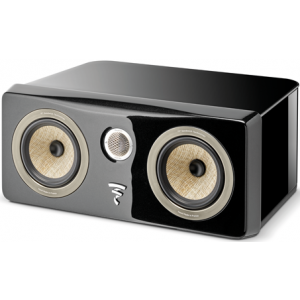 New addition to Focal's stylish high-performance Kanta range, this Centre speaker will round up a complete multichannel system from the line. Focal Kanta Centre is the perfect way to complete a multichannel system from the line as it provides the exact same level of performance, whether at low or very high volume. It is, therefore, an excellent addition when combined with Kanta's floorstanding or bookshelf loudspeaker models, whatever the front and back configuration. Kanta renews the Premium enclosure segment through its design and the technology. Focal's intention was to design a speaker range totally focused on acoustic performance, along with a resolutely mould-breaking aesthetic; this is the Kanta DNA! The extreme definition of the higher mid-range register and its tonal balance were the focus of particular attention during development making this a formidable weapon in any Home Cinema set-up. Film fans will be surprised by the sound clarity and speech intelligibility, which are far superior to the norm. The remarkable neutrality lends itself to thrilling emotion for an unparalleled Home Cinema experience. 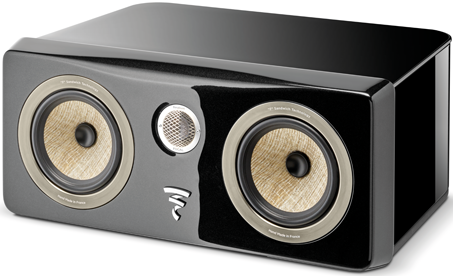 Kanta offers a combination of ground-breaking technology including the pairing of Beryllium on latest-generation IAL3 tweeter and Flax for midrange and bass comprised of flax fibre cores enclosed by two thin layers of glass fibre leading to a precise, detailed sound that brims with warmth and musicality. The IAL3 tweeter combines the IAL (Infinite Acoustic Loading) and IHL (Infinite Horn Loading) tweeters features, both of which help with the absorption of waves, thus lowering the tweeter frequency. As in Focal’s Sopra and Utopia models, the Kanta range also employs ‘Focus Time’ driver alignment, designed so all the frequency information arrives at the listening position at the same time. 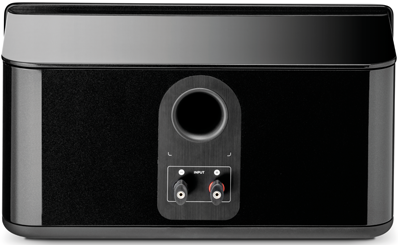 Focal's Sub 1000F subwoofer is the complementary solution to make an ultra high-level Home Cinema configuration. When linked with the 300 ICW in-ceiling loudspeakers, even the most exacting film fans will enjoy an incredible 3D audio experience in Dolby Atmos, DTS X or Auro-3D. Another of Kanta's strengths is its range of 8 finishes, lacquered or matt, which can be used to achieve multiple combinations that are very distinguished. From the most original to the more conventional, they are guaranteed to meet everyone's tastes.